Six people have been taken to hospital with minor injuries after a bus flipped on Big White Road east of Kelowna, B.C. According to a written statement from Kelowna RCMP, 22 people were on the bus. Those taken to hospital were transported by ambulance. No one suffered significant injuries. Michael Ballingall, senior vice president of Big White Ski Resort, said the accident involved a Big White Ski Express bus, which typically transports season pass holders to and from the resort. Most of the riders of the bus were under the age of 18, he said. They have been picked up by another bus and taken to Kelowna. Police say there were 22 passengers on board, along with the driver. Six passengers were reportedly taken to hospital by ambulance with minor injuries. "We're just concerned about their health and safety and we're just concerned about their parents and we just want to make sure everyone's okay," he said. According to police, the road is closed at approximately the four-kilometre mark because the flipped bus is blocking the road. Ballingall said that it was snowing heavily at the time of the accident, and that the bus flipped in an area with no cell reception. 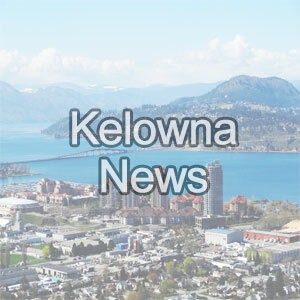 A section of Big White Road is closed because a bus has flipped on its side, Kelowna RCMP reported on Saturday morning. "It snows a lot on this road," he said. "We're just really encouraging people that are travelling in the mountain passes to keep their snow tires on. Winter's not over yet." The road, which is the route to Big White Ski Resort, was closed at approximately the four-kilometre mark, according to an RCMP bulletin shortly before 10 a.m. It has since reopened. A person at the scene of the crash says only one car was involved in the crash on Clifton Road Saturday afternoon. A BMW and Porsche appear to have crashed near Clement Avenue and Clifton Road just before 4 p.m.
Sgt. Mike Cooke said there were 22 passengers and a driver on the bus. Six were taken to hospital by ambulance with various minor injuries. Two ambulances, two fire trucks and several police vehicles are on scene, but it's unclear if those involved suffered any serious injuries. “A bus has flipped on its side and is blocking the road. No significant injuries are reported,” the release said. The nature of the crash is unknown at this time, but the northbound lanes of Clifton Road appear to be closed.